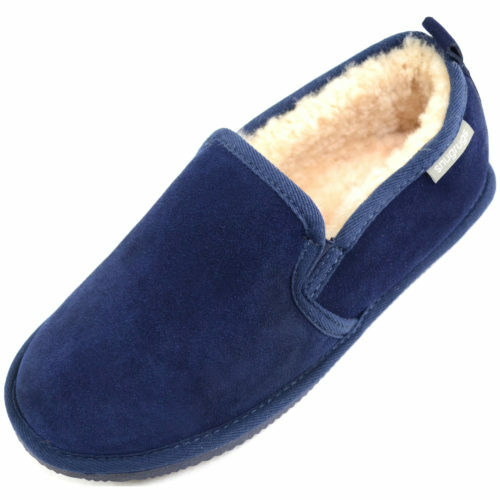 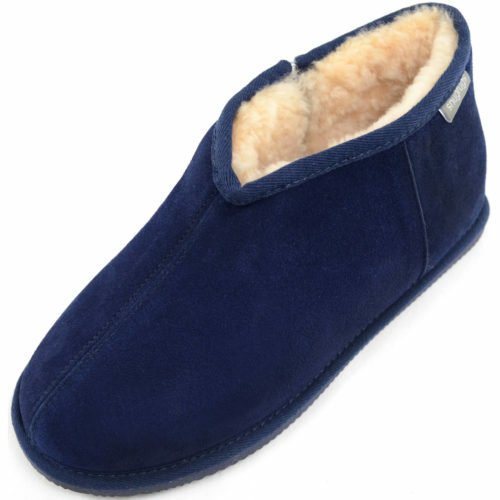 Bursting with signature style, our Snugrugs Mens sheepskin slippers and mules are made with the finest thick sheepskin, offering unbeatable comfort. 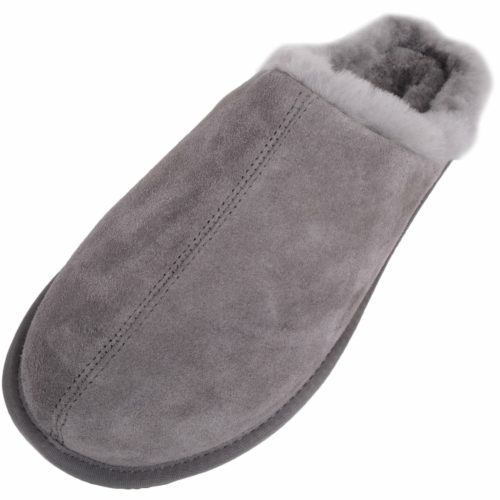 Our gorgeous slippers come in a variety of styles and sizes to suit every taste. 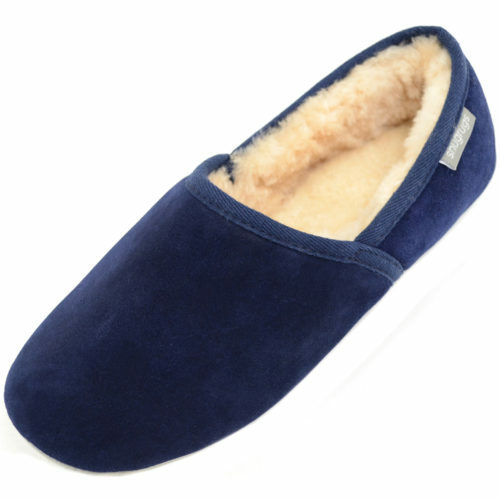 Imagine walking on air. 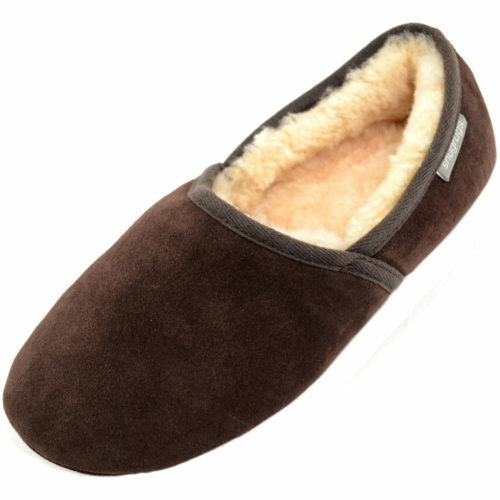 When your feet are cushioned with sheepskin it feels oh so cozy. 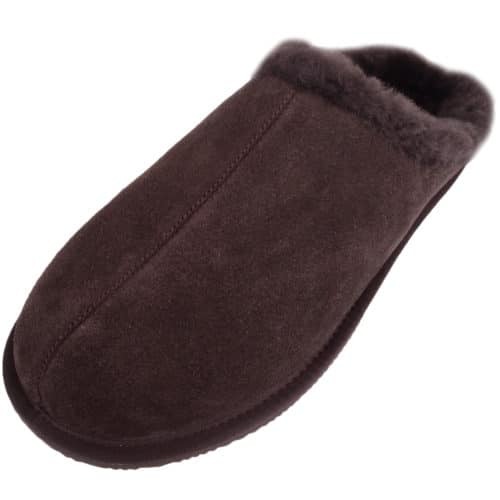 It is a miracle of nature, warm, absorbent, super squishy. 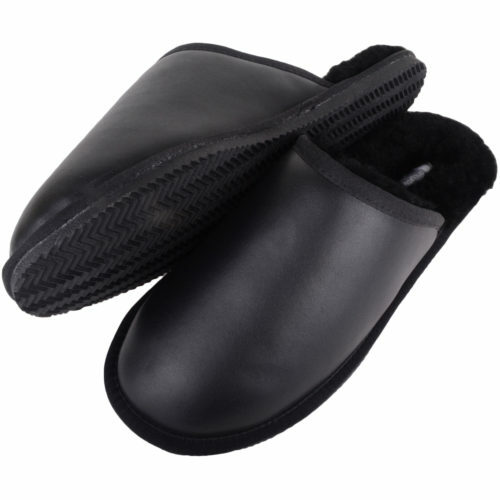 A natural super flexible rubber sole means you can dash outside without getting soggy socks. 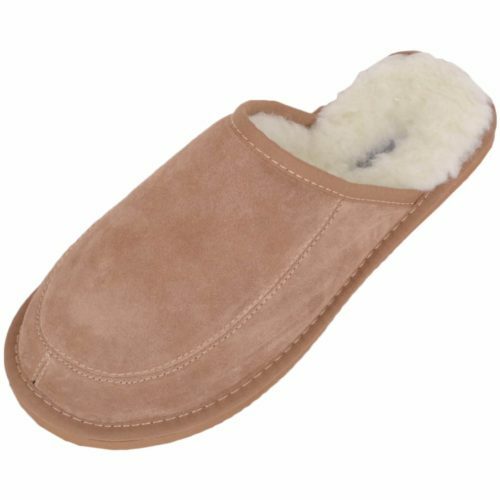 Sumptuously thick, 100% double-faced sheepskin is the centrepiece of our carefully curated collection of mens sheepskin slippers and mules. 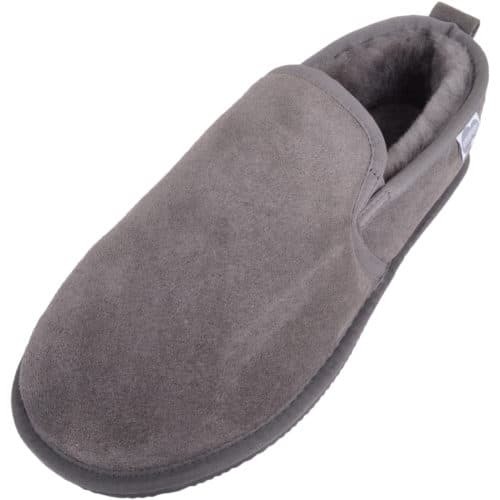 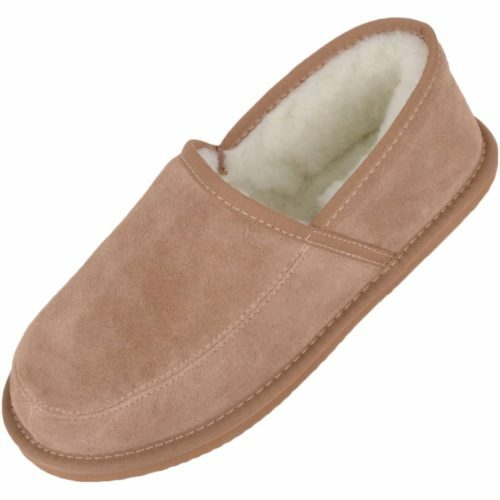 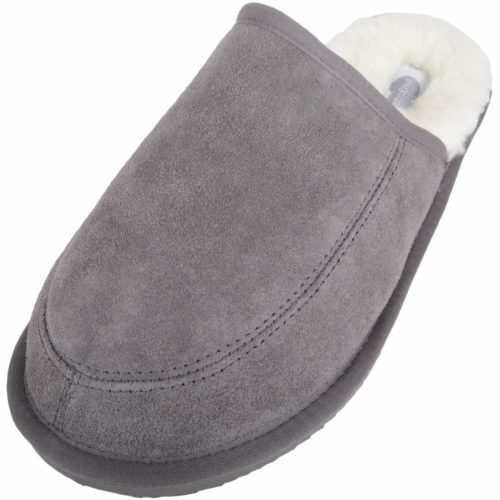 Cushion your feet in pure comfort thanks to ultra-thick, dense plush fleece and super-soft suede. 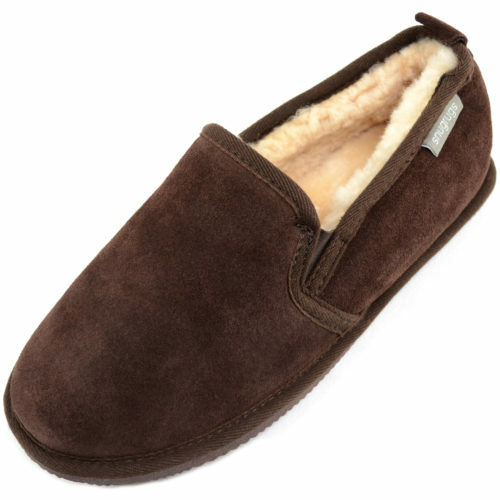 Our men’s slippers come in a variety of slip-on styles including classic styles, loafers and mules. 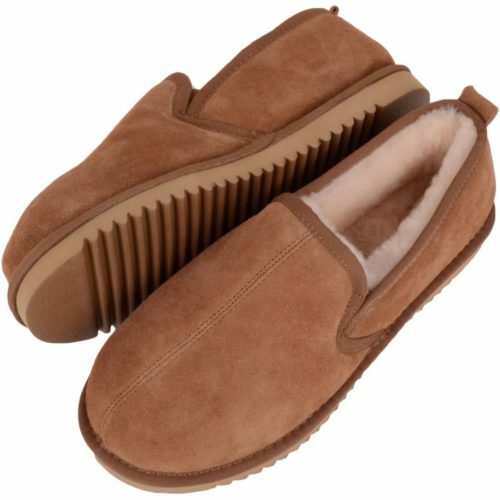 The boots feature zip fastenings for secure and stable comfort, and all styles include thick, grippy rubber soles or soft suede beneath. 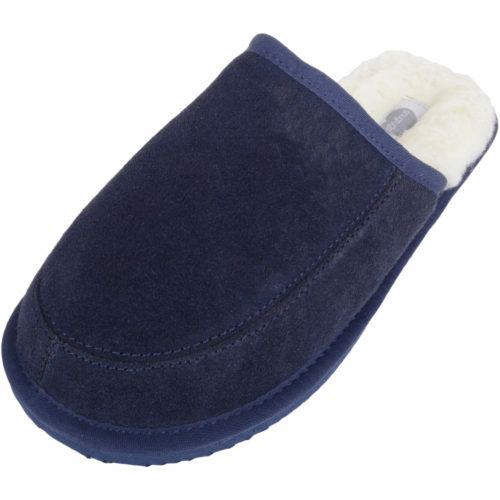 As the material is absorbent, antibacterial and allergy friendly it’s the perfect way to pamper your feet – with slippers that will last a lifetime. 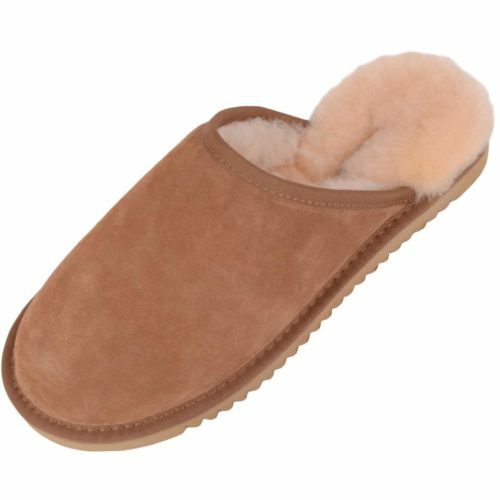 It moulds itself to your unique foot shape – so whether you opt for a boot or a traditional loafer design you’re sure to find the perfect fit. 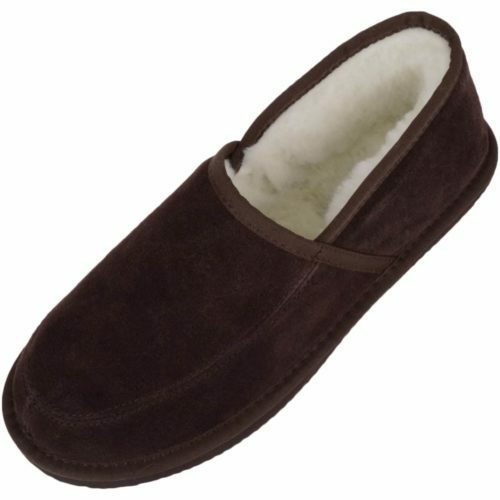 Each style is hand-crafted, combining the beauty of nature with man-made materials for durable yet light-weight slippers. 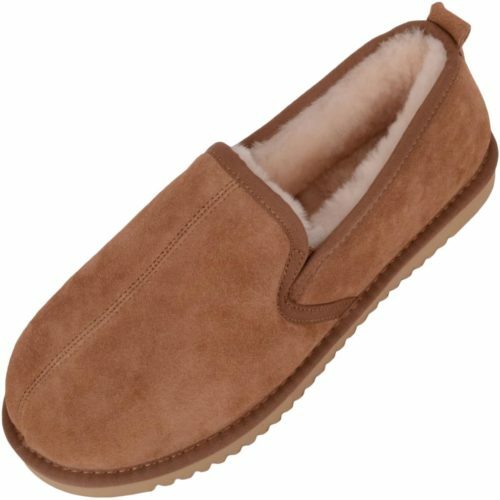 Colours available include navy, chocolate, chestnut and camel. 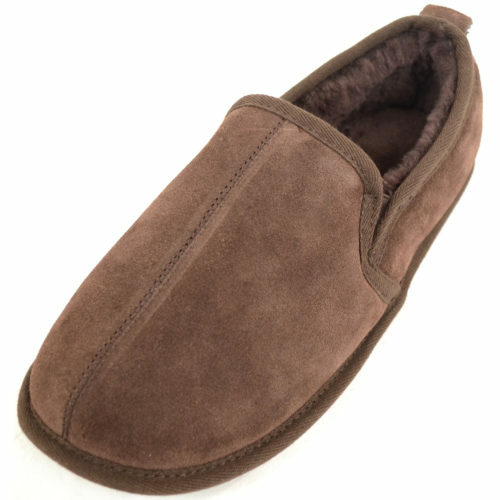 Solid stitching, sturdy support and a host of slip-on styles ensure that these are a practical addition to your wardrobe. 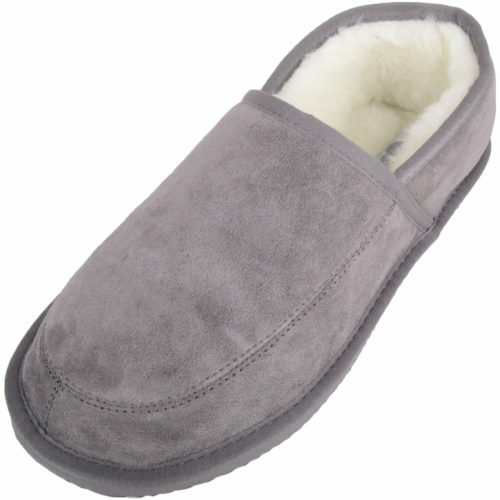 Put your feet up and relax in style or crack on with household chores in snug comfort. 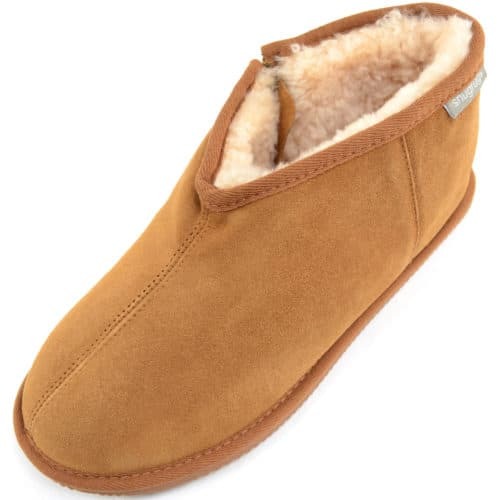 A range of UK men’s sizes are available from 7 to 13. 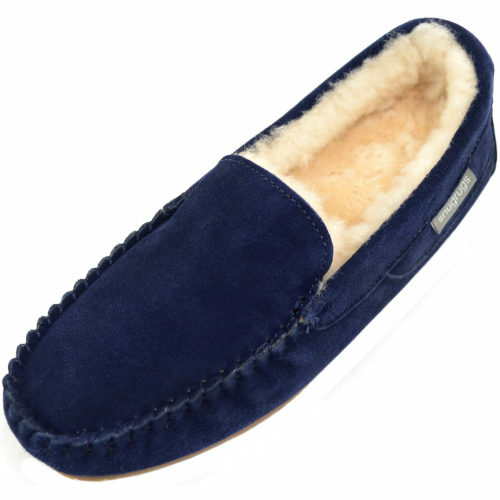 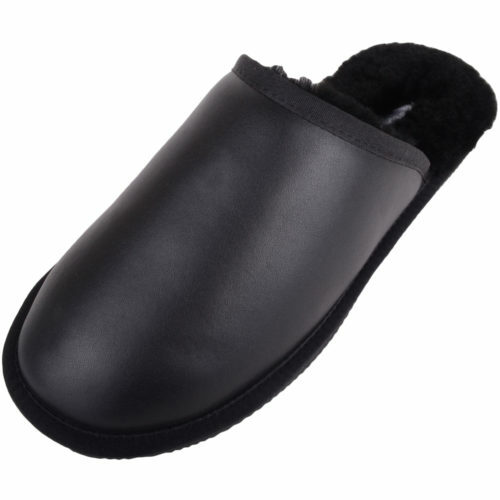 There is no need to pay huge prices when superb quality mens sheepskin slippers such as ours are available. 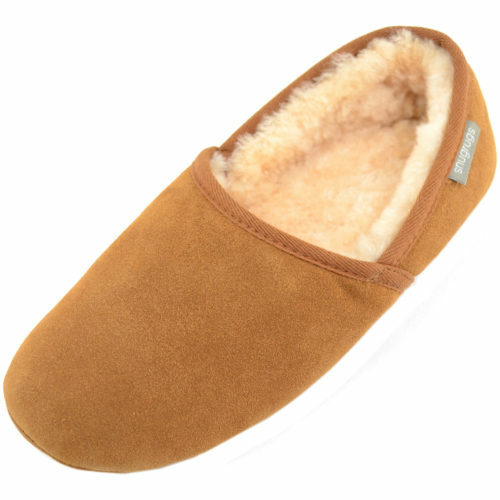 Comfort and flexibility are the key. 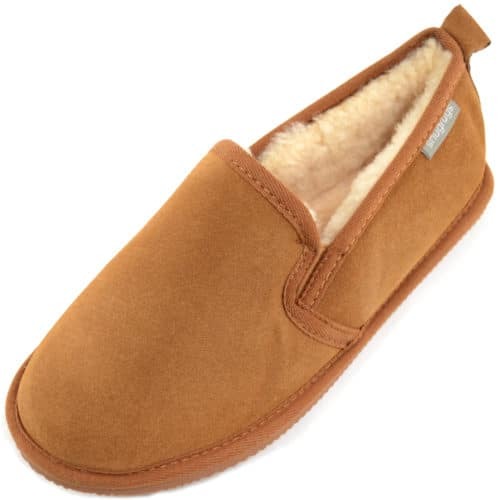 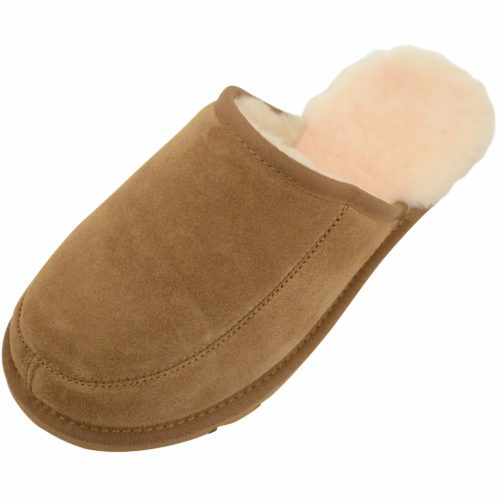 Choose from sheepskin slipper for men or mule styles in Chestnut, Vole, Camel, Brown or Grey. 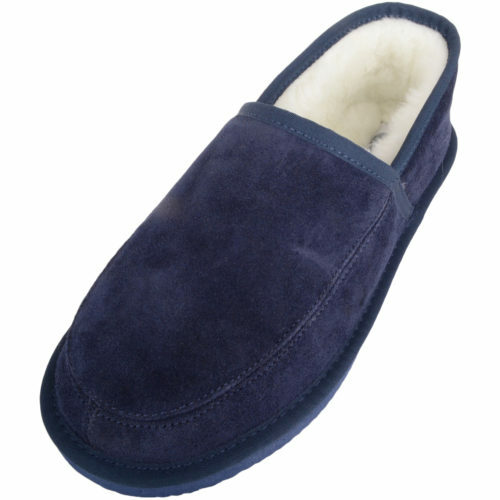 Consider a suede sole, solely for indoors or a firmer rubber sole, perfect if you want to pop outside occasionally. 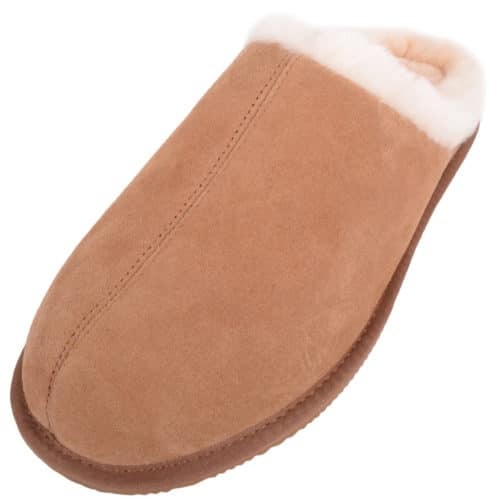 It is so rewarding to slip a pair of these on when you get up or at the end of the day to soothe and warm your feet. 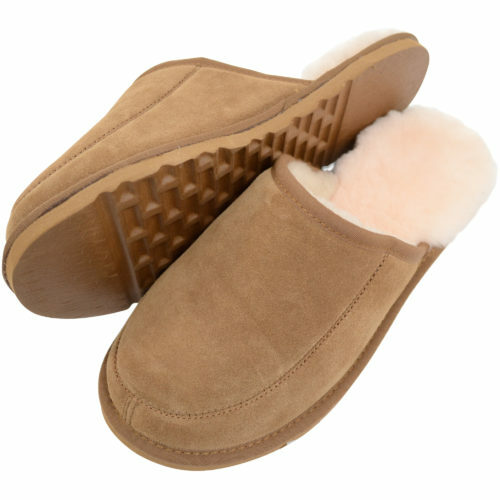 Or take them to the office to wear all through the day if you dare! 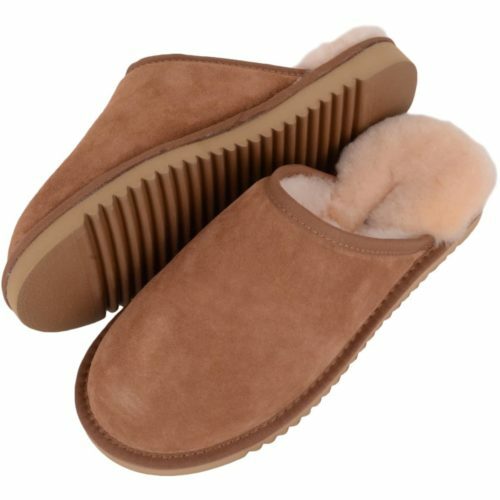 Pop a pair in your hand luggage to wear on a long journey. 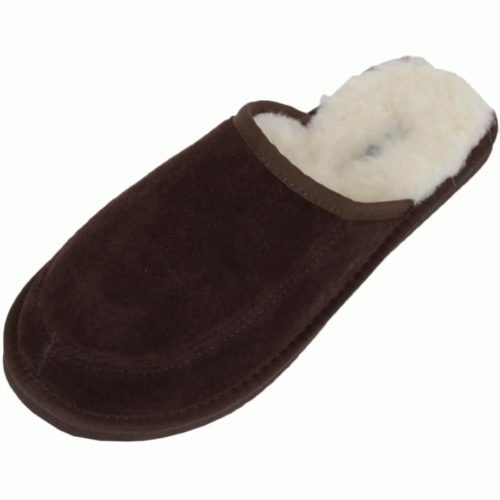 Men’s Sheepskin slippers make the perfect present for the man in your life, husband, boyfriend, father, friend, uncle or grandfather. 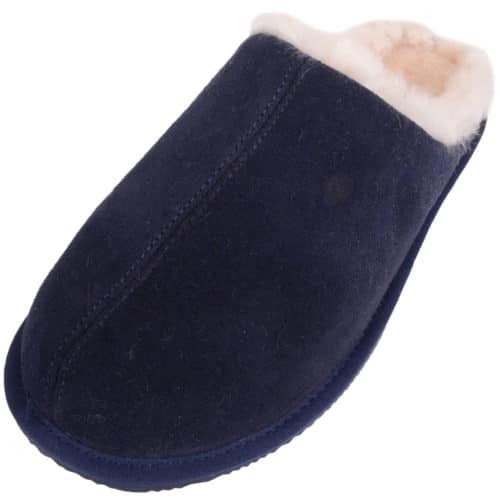 Christmas can be a very expensive time of year, when we want to give lovely presents but cannot pay the earth. If this is the case, for a less expensive option opt for a pair of wool loafers for men, superbly comfortable our Men’s moccasins are made to the traditional indian ruched front design. 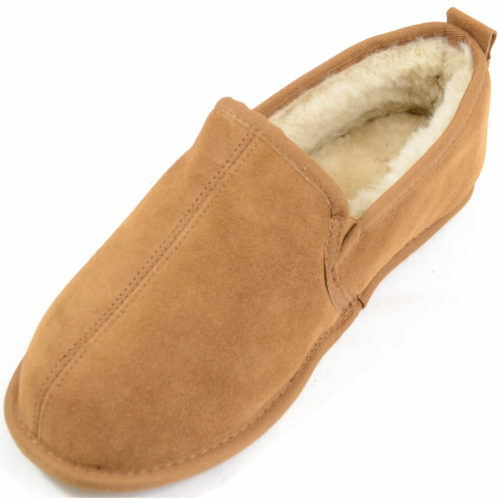 Choose from a leather or suede outer or a cotton or wool inner. 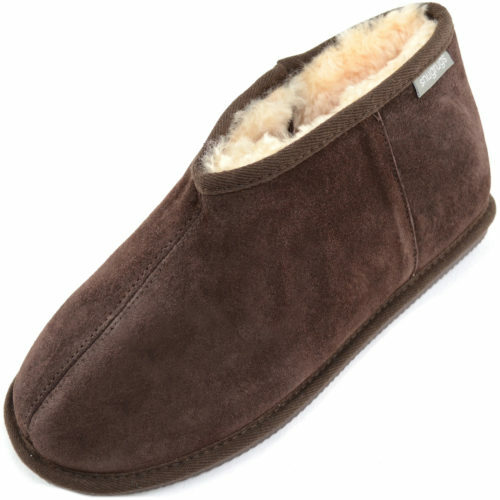 Opt for a suede or a rubber sole.